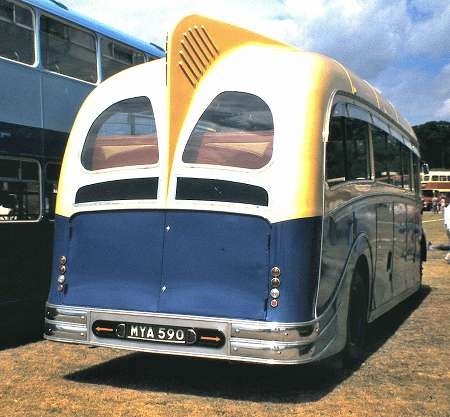 The Comet was Leyland’s offering in the same market sector as Bedford’s all-conquering OB, though with a few more seats and (usually) a diesel engine. It was a purpose-built PSV chassis, sharing mechanical components with the truck of the same name and similar appearance. 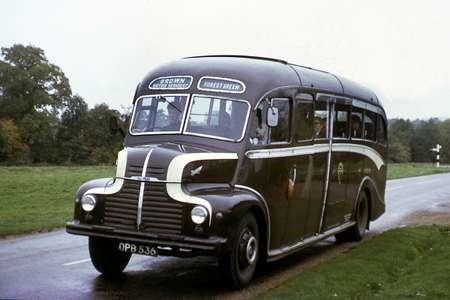 This Plaxton-bodied example was new to Dickson of Dundee (any connection with the Dickson who built pre-war bus bodies for Dundee Corporation? 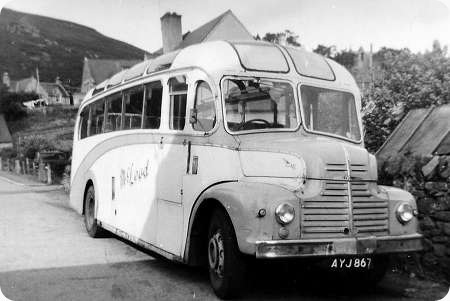 ), and by 1968 was working for McLeod of Helmsdale, with whom it is seen here in the operator’s home village. I think this is one of the best looking Comets I’ve ever seen. Perhaps not an easy chassis to body because the bonnet line was somewhat higher than other normal control models and some efforts were a little unfortunate but Plaxtons made a very nice job of this one. Pity no ‘eyebrow’ display apertures were provided but perhaps none were specified. I had a Bristol LH training bus with a Leyland Comet engine. Was this the norm for Bristol LH? Michael. The two engines for the LH were a Perkins and the Leyland O401. 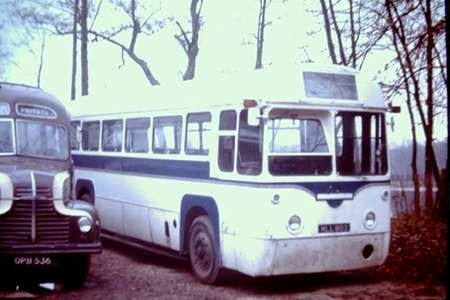 The Leyland was a development of the O400 (popular in Beford VAL and VAM 14s and used in late Tiger Cubs). The O400 was the ultimate development of the original O350 used in the Tiger Cub which transited through a O375 version. All of these, in there turn, were very closely related to the O300 (and the P300) – the Comet engine. I did wonder what had happened to Perkins, suspecting it had gone the way of most of our industrial base. However, good news, it’s thriving as a subsidiary of Caterpillar Inc., but primarily a diesel engine manufacturer for Agricultural, Construction, Material Handling, Power Generation and Industrial uses nowadays. 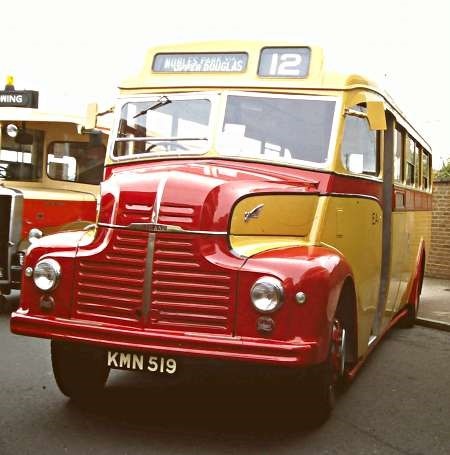 This vehicle operated with Williamson of Gauldry in the late 50s early 60s. Other ex Dicksons coaches with Williamsons at that time were Commer Commando Plaxton ATS 35, Austin Plaxton AYJ 153 and Daimler CVD6 Plaxton AYJ 278. 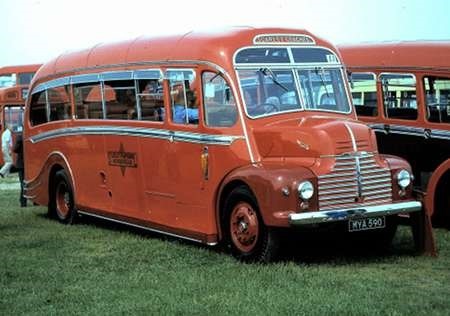 Dicksons of Dundee were taken over in the 1960s by Wallace Arnold and some of their superb coaches were transferred to Leeds where I had the pleasure of working with them. I hope my memory isn’t playing tricks, but I seem to recall that the seating cloth was of a lovely tartan derived pattern. Strange John. Reading recent posts reminded me of the same – superbly renovated – vehicle.